Washington, DC – As Secretary of State Rex Tillerson prepares to testify on the administration’s budget, a leading group of humanitarian, development and global health organizations are releasing new data that shows just how devastating these proposed cuts to the United States’ foreign aid budget would be to millions of people in the poorest countries. Hurricane season begins June 1. 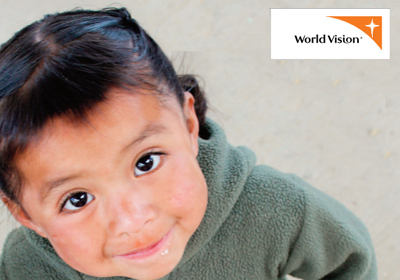 Although it is forecasted to be an average, or below-average year for activity, World Vision is fully prepared to respond. 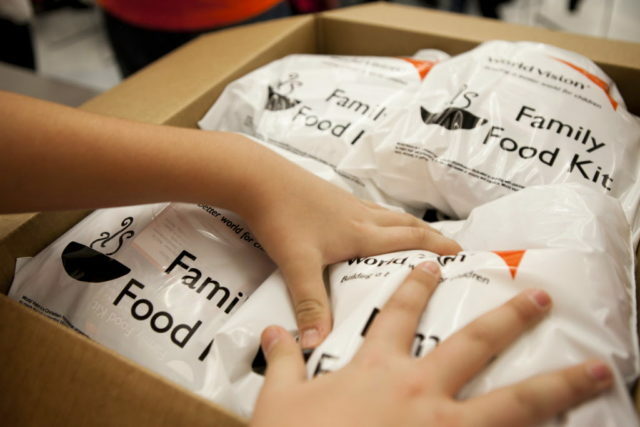 World Vision today issued a three-years report on its response to the January 2010 earthquake in Haiti, bringing an end to its emergency relief efforts that provided food, shelter and basic support for millions of children and their parents. 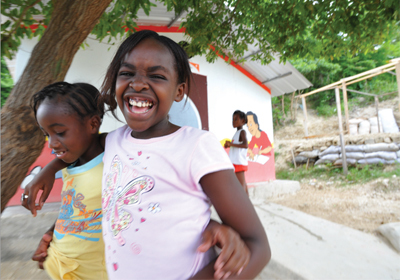 The USAID and World Vision today became the newest members of the Regional Coalition on Water and Sanitation to Eliminate Cholera in Hispaniola, an alliance of more than 20 agencies and associations supporting efforts to eliminate the transmission of cholera. 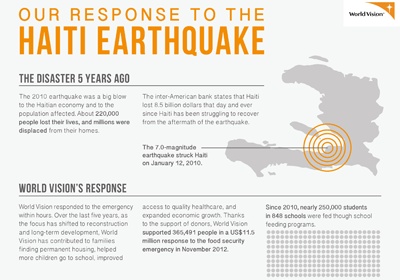 This infographic shows World Vision's response to the January 12, 2010 earthquake that killed 220,000 people in one of the world's poorest island nations. 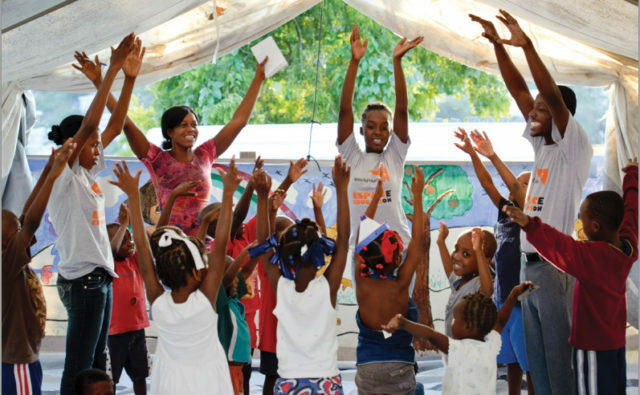 For five years following the devastating earthquake of 2010, World Vision, alongside the international community, the UN and Government of Haiti, has continuously worked to improve the lives of Haitians through sustainable programs that foster self-sufficiency. 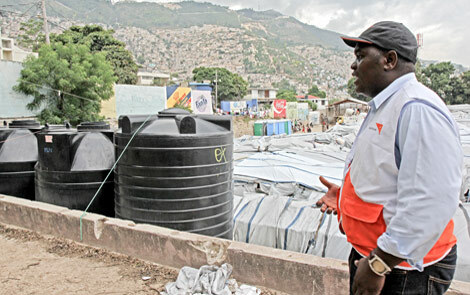 When the earthquake hit Port-au-Prince on 12 January 2010, local World Vision staff sprang into action, distributing the bottled water they had on hand. 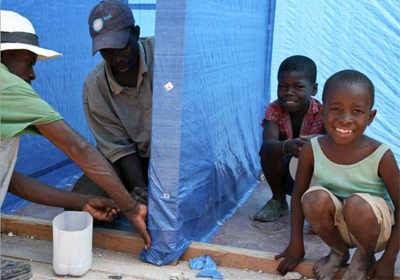 In hindsight, it seems like a small gesture, yet it marked the beginning of a three-year, US$240 million effort to help Haiti recover and rebuild following one of the worst disasters ever to hit the Western Hemisphere. 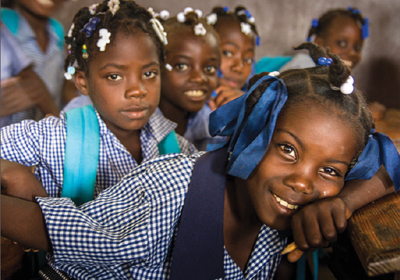 The response to the 2010 earthquake in Haiti has been one of the largest and most complicated humanitarian projects the world has undertaken, in the poorest country in the Western hemisphere. Shortly after the Haiti earthquake I was in the capital, Port-au-Prince, taking part in relief food distributions among a seemingly endless crowd of women. What, I was asked, does the future hold? That was an important, but difficult, question. 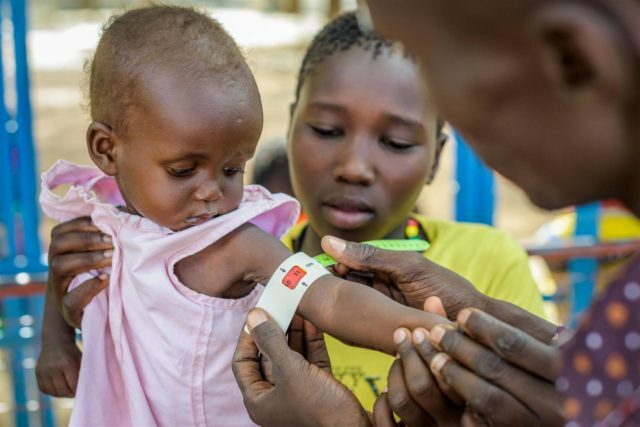 The cholera epidemic which began in Haiti three years ago has already affected 680, 820 people, or nearly 7% of the population, and resulted in 8,307 deaths. 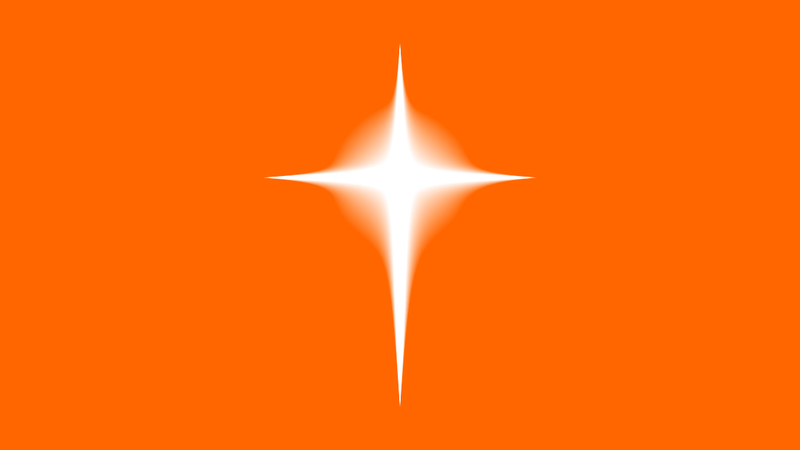 Since January 2013 until the time of writing, the disease has affected 41,701 people and killed 360 people.